Geoffrey Hunt was born in London and now married with three children and has settled in Limerick. He is a member of Birdwatch Ireland and has led nature walks and presented slide shows since 1998. Since 1998 he has been systematically surveying the County for birds, butterflies and dragonflies. Over the years he has built up a detailed knowledge of Limerick’s wildlife – now available in this book. This book is about discovering the Limerick landscape and the wildlife to be found there. It contains 35 walks with maps showing you where to go, with information on the wildlife, what to look out for and the best time to visit. It also contains the first lists of species recorded in Limerick for birds, butterflies and dragonflies. There is a comprehensive section on Geology and Topography with a brief report on habitats and is also a photographic celebration of the Limerick landscape. The book is available by post by contacting Geoff Hunt on 087-7656439 It is now in all the Limerick City and County Libraries and is on sale at the Newcastle West Bookstore, Newcastle West County Limerick, Tourist office Kilfinnane, County Limerick and at the Limerick Co-Ordination Office, 50 O’Connell Street, Limerick. 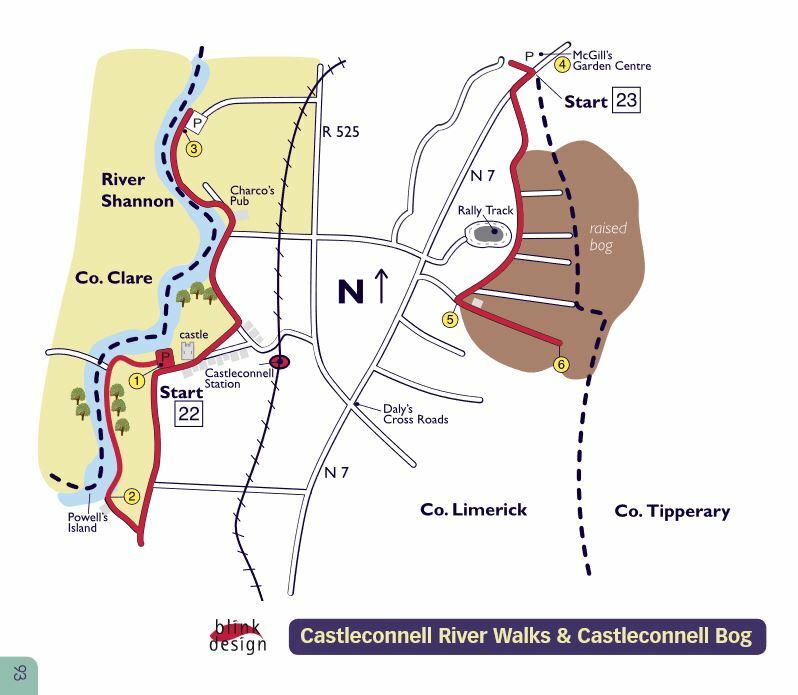 Click the following link to see a pdf of the Castleconnell Bog Walks.